I'm Agostina I worked 9 year la with disable childrens... I able to do the job with love, care and responsability! 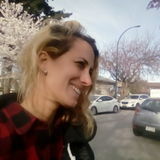 Want to connect with Agostina? My name is Agostina. I am searching for a childminder job opportunity in Vancouver, British Columbia. Available now. I will take care of diaper changing, reading books, and children's crafting. I am willing to travel. I have extensive experience. Hi! My name is Chelsea Dimmock and I am looking for a fulltime Nanny position starting September 2019!